The waterproof material CN2000®C & CN2000®D (CN2000®C‐D FLEXIBLE) is a polymer/latex and cement composite coating. It has a dual function of volatilization solidification and reaction solidification. After thoroughly mixing CN2000®C and CN2000®D in the proper ratio and applying to the substrate surface, a polymer latex is formed which wraps the cement granules present on the substrate surface. The latex dehydrates and becomes a form of continuous rubber membrane with an engineered strength and elasticity. The cement absorbs other water to cause a hydro-­‐reaction and develops into insoluble crystals. The crystal combines with the above-­‐mentioned rubber membrane forming an impenetrable waterproof coating with an integrated structure. The CN2000®C‐D coating membrane has a designed elasticity and can be utilized in the waterproofing of expansion joints and deformation joints of concrete construction. It can also be used in waterproofing of concrete structures that are permanently immersed in water. CN2000®C‐D can be utilized in large areas of waterproofing that have been previously coated with CN2000®B, rigid waterproof material to enhance the coating with flexible properties. CN2000®C‐D can be utilized in the following projects for waterproof and anticorrosion in structurally sound concrete structures. All technical performances of CN2000®C‐D achieve or exceed national and industrial standards. CN2000®C‐D is water‐soluble and is non-­‐toxic, odorless and flavorless; it’s safe to the human body and is non-­‐polluting to the environment. Application is executed at normal temperatures. 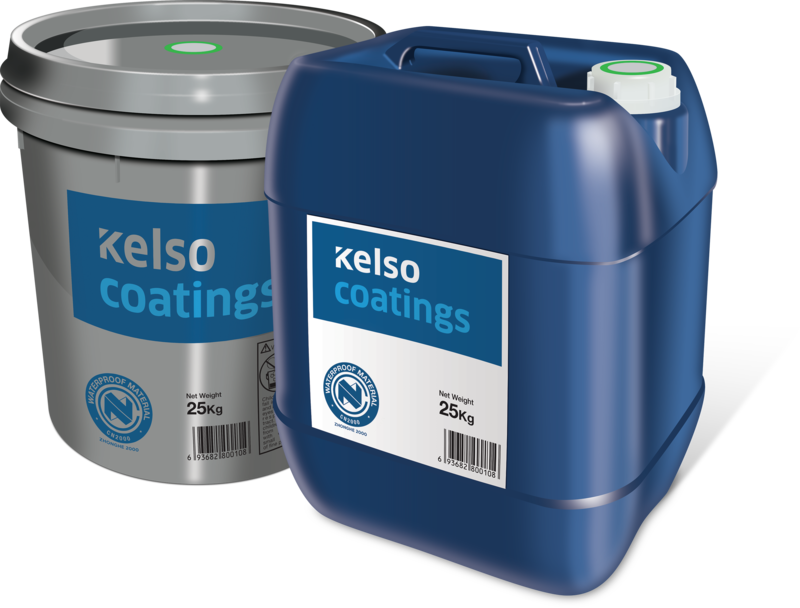 The CN2000®C‐D coating is thin and the application procedure is simple and quick. Curing requires only natural air-drying. CN2000®C-­D can firmly adhere to materials such as concrete, marble, wood, glass, plastics, metal, etc. Coating varies with the shape of the concrete substrate surface without joints. CN2000®C‐D can be applied by trowel, brush coating, or spray coating. CN2000®C‐D is extremely flexible and has high strength. Its freeze-­‐thaw resistance and anticorrosion abilities are superior. 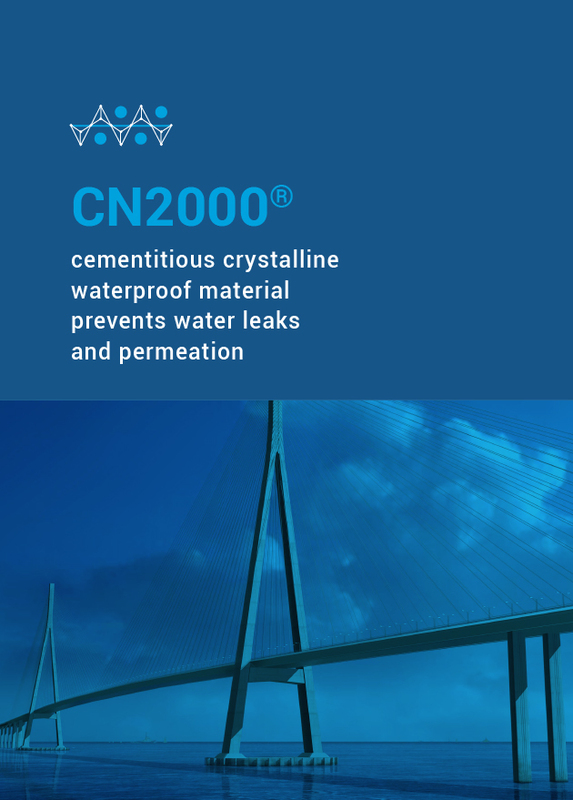 CN2000®C‐D can be utilized in any project exposed to water, seawater and/or soil with high salinity. CN2000®C (Liquid Latex) 25kg Sealed Plastic Pail with pour spout. CN2000®D (Dry Material) 25kg Sealed Plastic Pail. CN2000®C: When stored in a dry place away from direct sunlight, between 5°C‐ 40°C, in the original packaging unopened and undamaged, the shelf life is 1 year. CN2000®D: When stored in a dry place, between 5°C ‐ 40°C, in the original packaging unopened and undamaged, the shelf life is 2 years.